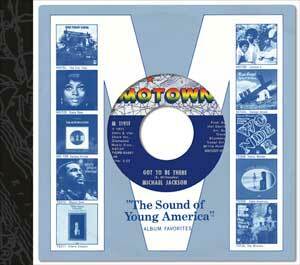 Motown proudly presents the newest installment in the critically acclaimed, continuing series of every Motown single of the Detroit era, this time a 5-disc set, with a 124-page booklet. It’s in these six months that Motown, with the Jackson 5 landing a TV special and hitting the top again with “Sugar Daddy,” spun off lead singer Michael Jackson as a solo artist MJ’s smash solo debut, “Got To Be There,” is the spotlighted vinyl 45 fronting Vol. 11B. Eddie Kendricks gained ground as a solo act while his Temptation-gone-solo counterpart David Ruffin did not. Stevie Wonder, inspired by Marvin Gaye’s success with What’s Going On, showed his mettle as an emerging independent adult artist with his LP Where I’m Coming From and the hit single “If You Really Love Me.” Diana Ross had two fine singles in a slight commercial slump. Motown continued to experiment with rock on the Rare Earth label (Stoney and Meatloaf, the Rustix, Sunday Funnies, et al); with MOR (Tony & Carolyn); with singer-songwriters (Bobby Darin, Valerie Simpson); and with different slices of soul, from new signings Virgil Henry, Thelma Houston and Popcorn Wylie, a returning veteran. There were significant bumps in the road too: Motown was seeing the decline of some of its marquee acts, from the Four Tops to the Supremes, who still had significant hits—“MacArthur Park” and “Floy Joy,” respectively. Meanwhile, competition was getting hotter, as Philadelphia International would soon be a strong rival; Isaac Hayes was king; and even the fiercely independent James Brown would sign with Polydor, an international corporate label. This is Volume 11B of a 12-part box series. The whole story is laid out in rich detail across five discs that feature not only the hits and their B-sides, but also rare mixes, pulled releases and more. And as is expected in this series, Vol. 11B is given a beautiful frame: “album” style packaging with a 124-page booklet featuring detailed recording and release dates, and similarly detailed track-by-track histories written by co-producers Keith Hughes and Harry Weinger, and Grammy®-nominated Bill Dahl. Dr. Andrew Flory, author and Assistant Professor of Music History at Shenandoah Conservatory, continues his insightful overview of the era first laid out in Vol. 11A. Introducing this package is an engaging personal essay by Scott Regan, Detroit’s most popular DJ from the sixties who by 1971 was a Motown staff writer and producer. Included is an actual 45 RPM vinyl single — Michael Jackson “Got To Be There”.